The Article: Here’s How Much the Average Wall Streeter Makes Compared to the Average New Yorker by Linette Lopez in Business Insider. The Text: Every year the Office of the New York State Comptroller does a deep dive into Wall Street employment and compensation. The office released its report for 2012 this morning, and as usual, Wall Street salaries trounced those of average New Yorkers. From these stats, you’ll understand how healthy the industry is and how it’s contributing to city and state’s finances. Plus, two words: income gap. There’s still a Wall Street employment multiplier. For every job that’s gained or lost on Wall Street, two are gained or lost in NYC, and one is gained or lost in New York State. New York City depends on Wall Street tax, and New York State does even more so. Wall Street contributed $3.8 billion to NYC’s budget, which is 27 percent more than last year and the second highest number on record. New York State got $10.3 billion from Wall Streeters, a small increase from last year but also the fourth highest level on record. Wall Street wages are still on the decline, but are also still way higher than the average wage. In 2012, the Street accounted for 21.9 percent of wages in NYC, but just 5.1 percent of jobs. Wages declined slightly, by 2.4 percent to $59.3 billion. The average Wall Street salary came in at $360,700; the NYC average was $69,200. This income gap/growing inequality thing is not a joke. Let’s look at this historically. Now the average Wall Street salary is 5.2 times higher than the average New York salary. In 2007, it was 6.2 times higher. Twenty-five years ago, it was just twice as high, according to the report. The bonus pool is bigger and less volatile, but getting harder to track. Because of new regulation, more bonuses are getting paid out as stock, and cash bonuses are being dispersed outside traditional bonus times. This is making it hard for the Comptroller’s office to determine what’s a bonus and what’s base compensation. Either way, the Wall Street bonus pool grew an estimated 8 percent in 2012, to $20 billion. 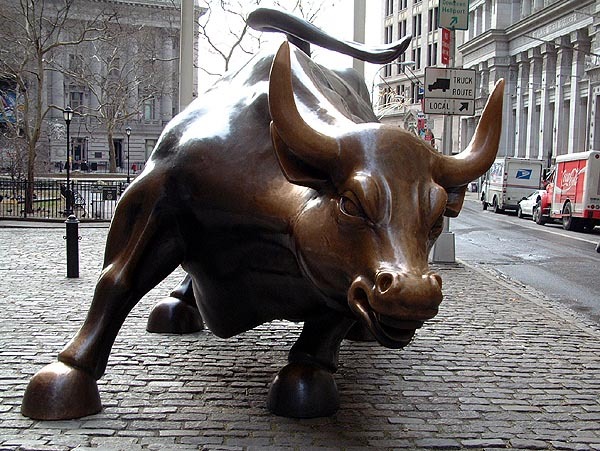 Only 20 percent of the U.S. securities industry is in NYC. But 89 percent of New York’s finance jobs are in NYC. Wall Street jobs are still really hard to get. Employment continues to contract. Wall Street has 25,600 jobs less than it did during the financial crisis and since August 2011 has lost 7,300 jobs. Wall Street did well on profits in 2012, but 2013 looks uglier. The Street made three times more in 2012 than it did in 2011, with $23.9 billion in profits. But the Comptroller’s Office sees risks that could make the 2nd half of 2013 look pretty ugly—litigation costs, turmoil in D.C., and uncertainty in the bond market all make the list.